One of the industry’s leading game engines, Frostbite delivers authentic, true-to-life action, takes players to new football worlds, and introduces fans to characters full of depth and emotion in FIFA 17.· New Football Worlds: Frostbite injects even more detail into the worlds of FIFA 17. 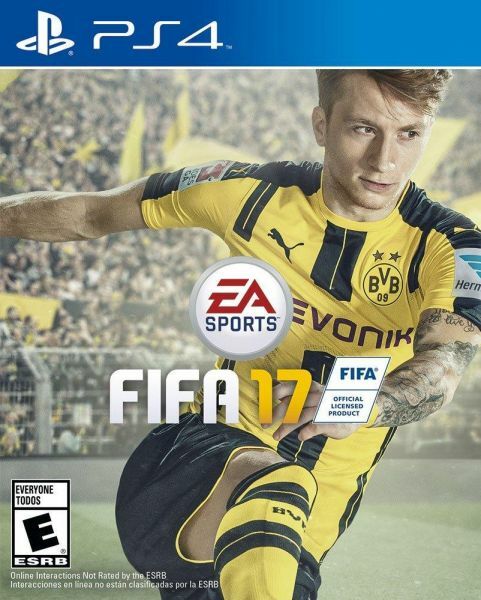 One of the industry’s leading game engines, Frostbite delivers authentic, true-to-life action, takes players to new football worlds, and introduces fans to characters full of depth and emotion in FIFA 17.· New Football Worlds: Frostbite injects even more detail into the worlds of FIFA 17. Experience all new environments like tunnels, locker rooms, the manager’s office, and the team plane.· Authentic True-To-Life Action: Frostbite powers a truly immersive, story-driven experience that embeds you in football and lets you live through all of the emotions of the sport on and off the pitch.· Characters Full of Depth & Emotion: Frostbite delivers heightened realism for characters on and off the pitch. This leap in fidelity unlocks exciting new opportunities for telling stories and delivering engaging experiences for every player. The Journey: For the first time ever in FIFA, live your story on and off the pitch as the Premier League’s next rising star, Alex Hunter. Play on any club in the premier league, for authentic managers and alongside some of the best players on the planet. Experience brand new worlds in FIFA 17, all while navigating your way through the emotional highs and lows of The Journey.· Introducing Alex Hunter: A touted prospect, Alex Hunter is on a journey to make his mark in the Premier League. Emerging as one of the best young prospects in the academy, the expectations are high and the opportunity is there for Alex to perform on the world's biggest stage. Will you deliver?· Your Performance. Your Decisions. Your Unique Story. : In The Journey, Alex Hunter’s Premier League career is impacted by your performance on the pitch, and the decisions you make off of it. Make critical decisions throughout the game that will change what happens next and how other characters react to you. Will you put your team first before your own success? The choice is yours.· Authentic Storylines: The Journey will pull you through a true-to-life experience in the Premier League. It's a cinematic world informed and influenced by real players, personalities, locations, and events that take you places you've never been and bring you experiences only available in FIFA 17. Own Every Moment: Complete innovation in the way players think and move, physically interact with opponents, and execute in attack puts you in complete control of every moment on the pitch.· Set Piece Rewrite: From free kicks to penalties to corner kicks, inject personality and experience control from every dead ball situation.· Physical Play Overhaul: A transformation in the way players physically interact in all areas of the pitch. Control is now in your hands as you battle for space and possession.· Active Intelligence System: A brand new system introduces constant spatial analysis, increases activity off the ball, and changes the way players move, read, and react.· New Attacking Techniques: New options in attack give players more ways to create chances and finish in front of goal.